Review by Neo: It is probably normal that DVD or movie posters nowadays rhyme more with the word misleading than a true reflection. 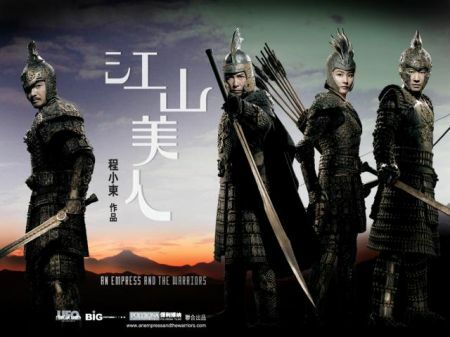 Looking at the poster of Ching Siu Tung’s latest war epic, An Empress and the Warriors, there are three warriors in armors, namely the as usual Donnie Yen, the ever stoic Leon Lai and the elegantly beautiful Kelly Chen. One must start wondering if it is the believability factor of having Kelly Chen as a warrior empress is a prominent fraud. While it is probably a fraud in terms of making the paying audience to sit through a woman with obvious modern looks in ancient warrior, the real fraud is seeing Leon Lai in armor. Since when did Leon put on that armor, when he wore peasant clothing throughout the flick. Moving on from the marketing fraud theory, the question moves to whether or not this flick serves up enough meat and wine to satisfy the current reviewer. The answer is a quick no and if you must ask for his bluntly honest opinion, Neo wants to fire the casting agency and probably have the screenwriter set on fire as well. The winner of the first issue or problem is the casting of Kelly Chen. Everyone knows Kelly is one with limited acting range and while she is elegantly pretty enough to engage Neo’s attention, her acting at important moments are largely laughable. The manner she screams for glory, anger or help are almost to the point of hitting and stretching the laughing buttons of every normal human being. In fact at this moment, Neo just cannot take his mind away from the moment she screams in pain near the end of the film. Frankly, Chen fails to emote with the audience and her acting is plain crap. While Kelly may be able to play a dead-serious high ranking cop in Johnnie To’s Breaking News, she is certainly no warrior with a warm heart. Another reason to sack the casting director is why the hell you would bother to cast three actors with almost equal stoic acting is really beyond Neo. When the best thing to come out of the flicks lies in Leon Lai’s somewhat interesting performance, the audience probably knows what they have truly got themselves into. While one wouldn’t say the flick is a complete waste of time as it is probably still better than dozens of other HK cinema apprentices. It goes without saying that people expect more with war epics or even movies with ancient costumes to boost. Without being a total critic, Neo is craving for some pros to talk about, but in a switch of conscious, he decided to proceed with the cons. 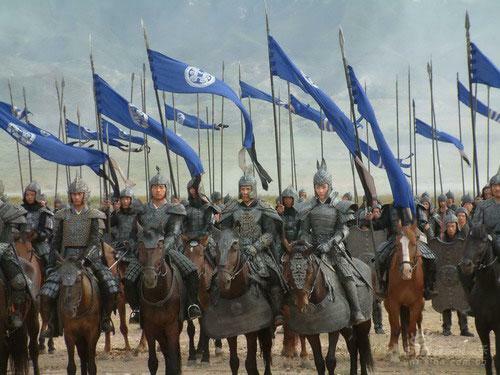 The battle sequences are beyond un-witness-able and one would have through that after the years of action directing and directing epics battle, Ching would know much better. When a movie does not relate or attempt to connect with the audience, it will usually not win the side of the audience. Adding to this mess is the acting skills of Donnie Yen. While Yen have been appearing in almost every HK action-er in the past decade and probably is just as hard working as the more famous Andy Lau, Yen must admit that he will probably never win a Best Actor Award. Whenever a slightly more challenging scene comes along, Yen’s face will overacts and the result is the audience laughing on the outside, rather than emoting in silence on the inside. However, this is really no fault to Yen, as he really tries, but rather the burden of lad falls on director Ching for usually such close up shots on Yen and Chen’s limited acting face. As mentioned before, Leon Lai is the best out of the pack as of the three; he is most human and perhaps the most pure. Lai is stoic, but he neither overacts nor underplays his character as an all-knowing doctor/ inventor. 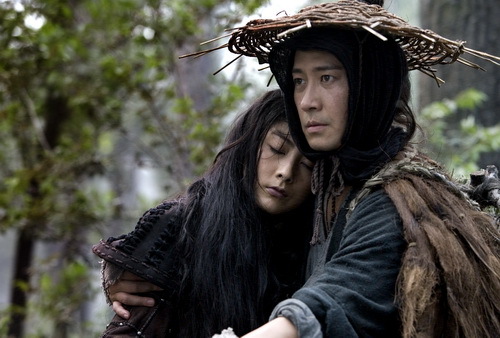 It is the scenes with Lai and Chen that allows the film to smoothly run to the heist finish line. The view of the tree tops, the lake sequences and the hot air balloon are all good moments of cinematography in picturing the beauty of China. A good performance from Lai and certainly one that is comfortable with his range and self.